"In future, all energy will come as electricity." Those words are not from some environmental activist or soundbite politician, but from a senior figure within the auto industry, which perhaps makes them all the more surprising. Dr Sae Hoon Kim is the head of environmental research and development for Kia and parent company Hyundai, and a passionate believer in the hydrogen fuel cell as the future solution to mobility. Fuel cells create electricity on the move through the inter-reaction between hydrogen and oxygen in a costly and complex metal box called a fuel stack. The only waste product is water vapour. 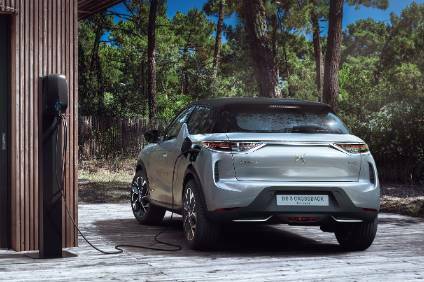 They can therefore provide all the environmental advantages of a battery-electric vehicle with the range of a combustion-engined car, and would be totally clean if the hydrogen was produced from renewable energy. 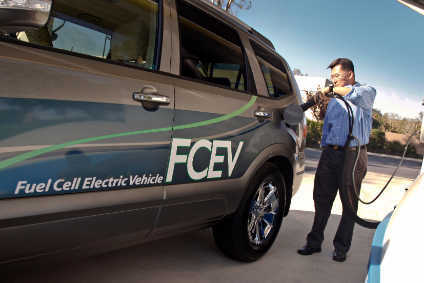 The trouble is, fuel cell vehicles (FCEVs) are still in the early stages of development, are not yet as durable as they should be and are extremely expensive. Currently, only Hyundai (ix35) and Toyota (Mirai) offer one on a commercial basis, and the refuelling infrastructure to support them is as rare as hen's teeth. Nevertheless, Kia will begin producing an FCEV in 2020 on a dedicated platform at an initial rate of 1,000 a year as part of an all-encompassing plan to seek market leadership in eco-cars. Last year the company introduced the all-electric Soul EV. In 2016 it will add a plug-in hybrid version of the new Optima and a crossover-style bespoke hybrid called Niro. It has plans to increase its portfolio of green vehicles from four to 11 within five years, and is spending more than US$10bn and hiring more than 7,000 new engineers to work on advanced low- or zero-carbon powertrains. "Transport uses 60 per cent of all the oil that is refined and creates 23 per cent of greenhouse gases. There will come a day when you have to use new technology to meet regulations," says Kim. Those regulations will eventually include EUR95 fines for every gram per kilometre by which manufacturers exceed CO2 targets in Europe; sanctions of US$5 per 0.1mpg by which corporate average fuel targets (CAFÉ) are missed in America; and a refusal of vehicle certification in China for any vehicle which does not achieve a fuel economy average of six litres per 100 kilometres. "The CO2 emissions of a hybrid average around 106g/km, so we cannot hit the targets with those," says Kim. "The trend is towards plug-in hybrids, but by 2025 you will be seeing fuel cells from a lot of manufacturers. Honda has said it will start selling a fuel cell vehicle in 2015, Daimler will enter the market in 2017 and BMW, Volkswagen and others will join in 2020." There is no more enthusiastic supporter of the fuel cell in the auto industry than Kim. Whatever argument you can throw against the theory – cost, infrastructure, reliability or storage – he has a ready answer. "World hydrogen production is 38 million tons, which is enough for 190 million fuel cell vehicles," he says. "It can be produced from any kind of energy, but at the moment it is just a by-product. "The future is hydrogen from renewables, but we need to store it, and the man who can control supply and demand is king. But you can produce hydrogen from electricity and store it very easily." The lack of a back-up infrastructure, in the form of a refuelling network, is a political issue, not a cost one, he adds. "A German writer said that the whole of Germany could be put within reach of a hydrogen station for the same cost as 50 kilometres of new highway. In Korea we could do it for the same as 20 kilometres. We are producing [FCEV] cars in Korea, but there is not one hydrogen station with public access." Kim claims that all obstacles in relation to the safety and extreme weather performance of fuel cell systems have been overcome. What remains to be solved is long-term durability and the introduction of a support infrastructure which would make mass production feasible and bring down costs. "We are now guaranteeing five years [of reliability] but we want to guarantee 10 years, so we will have to work a lot," he says. "There is some difficulty with heat rejection in very high temperatures, but our system is currently installed in a car designed for an internal combustion engine. In a bespoke car we could just add more or bigger radiators. Our cold weather performance is the same as a diesel. "We [the auto industry] have been studying fuel cells seriously for only 10 or 15 years. At Kia we began in 2008 with just two or three people. Now we have 200 to 300. The performance has improved by 40 per cent since 2008 and it will be 100 per cent better by 2020, when we introduce the next generation of fuel stack. "A lot of what we are doing is confidential right now, but we are trying to use some aircraft technologies." The next generation of FCEVs will have greater power density and their cell stacks will be no larger than a 2.0-litre internal combustion engine, Kim says. They will share major components with other electrified vehicles to reduce costs and be optimised for large-scale production. "The next generation will be five per cent more efficient, taking us close to the maximum achievable of 60 per cent; 15 per cent lighter; and 15 per cent smaller. 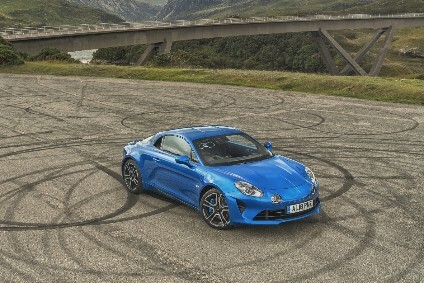 They will have a range of 800 kilometres [500 miles] and a top speed of 106mph. "The Stone Age did not end because there was no longer any stone, and the Oil Age will end before the world runs out of oil," he quotes. The words were first uttered by Sheikh Ahmed Yamani, Saudi Arabia's Oil Minister at a time when Middle Eastern states first began to demand a realistic price for the valuable commodity they were sitting on. Forty years on, they seem more prophetic than ever.